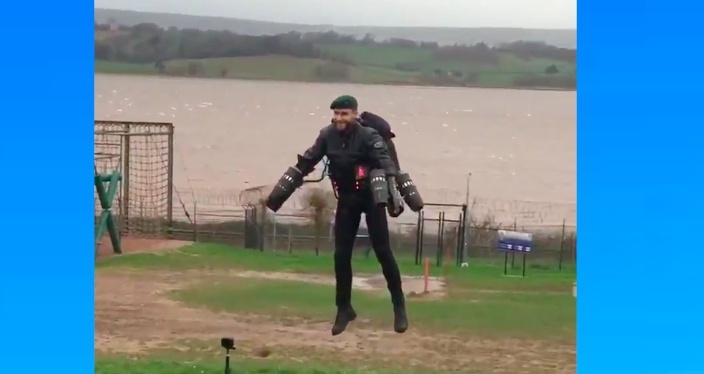 A video of a Royal Marine flying across Lympstone assault course has attracted more than 90 thousand views. "When the private decides multiple leaf blowers are the easiest way to clear the AO of leaves and turns into rocket man by mistake"
"I could’ve done with that for my 30ft rope climbs..."
"Iron man tune is blasting in my head watching this." Watch the short video below (from @colmiketanner via Twitter).